10 kVA and single phase. 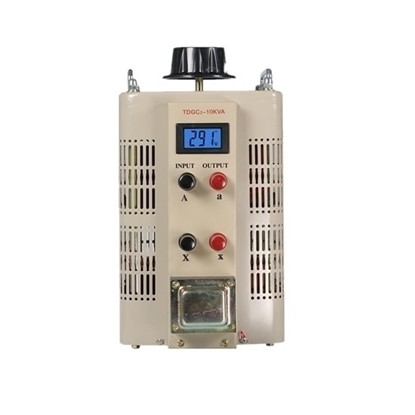 40A rated output current and 0-250V rated output voltage, 220V rated input voltage. 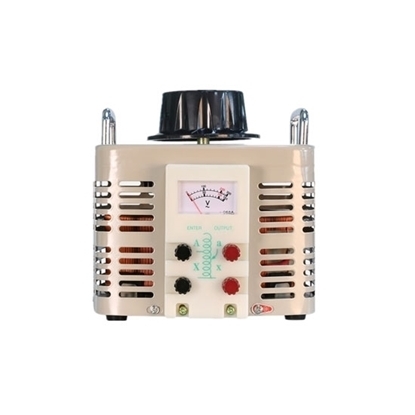 Widely used in various power supply places with a frequency of 50 Hz. 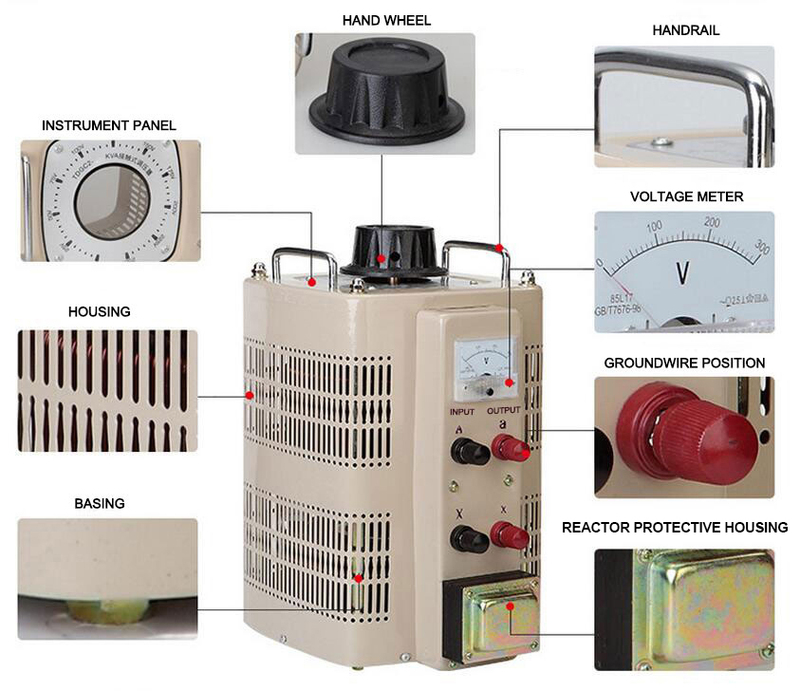 Affordable and safety variac voltage regulator. 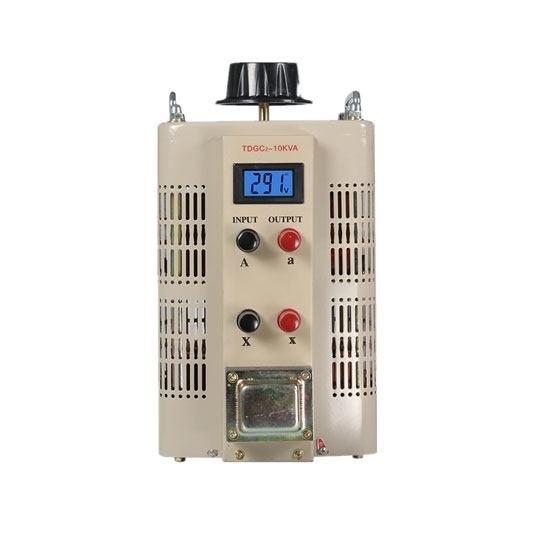 Structure: The single-phase large capacity voltage regulator is assembled by several units of the same specification, the brush of each unit contact group is mounted on the same spindle. The coil input end is connected in parallel, and the output end is connected with a balanced reactor to balance the current distribution between the units while simulating the circulating current.